The authors have both had a lifelong interest in the spectacularly engineered Queensbury Lines system which was characterised by fearsome gradients, deep cuttings, tunnels and superb viaducts. Historian and former journalist Alan Whitaker – author of several previous books and numerous magazine articles about railways in the Bradford area – is the son of the last Station Master on the Bradford & Thornton Railway and he grew up in the Station House at Thornton. This has given him a unique perspective on what happened during the last years of railway services on the Queensbury Lines as he was actually there to witness it all. Co-author Jan Rapacz, a Chartered Engineer who started his career in the rail industry designing railway locomotives, grew up close to the Bradford & Thornton line at Great Horton and witnessed the final years of steam operation which was often a immense struggle with adhesion on the fearsome gradient. He has himself spent many years researching the history of the lines especially from the perspective of the promotion, planning, engineering and construction of the railways. Both authors have been instrumental in initiating and promoting the Great Northern Railway Trail which includes a sections of the former railway from Queensbury to Thornton and from Cullingworth to Wilsden. Through their efforts, the magnificent viaducts at Thornton, Hewenden and Cullingworth have been secured for future generations to enjoy and appreciate their historical past. for discerning readers interested in nostalgia and local history. Our name comes from the Rosebay Willowherb plants which thrive on railway embankments and cuttings. It was spread across the country by the construction of the railways and was also introduced to private gardens for its vivid magenta flowers. Each Willowherb plant can produce many thousands of seeds each with its own tiny parachute. With the Willowherb growing alongside the railway lines, the passage of trains would take these seeds far and wide. It is also called fireweed because it flourished on the railway land which had been burnt by the sparks from the steam locomotives. 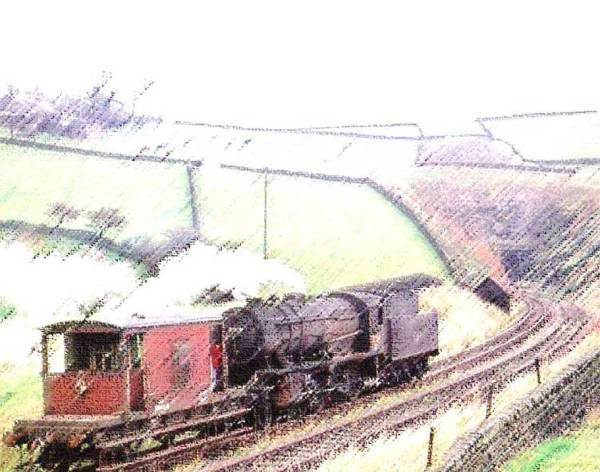 You'll see Willowherb alongside the railway in many pictures in our books. All digital photographs, images, information, descriptive text and other content featured on this website are copyright protected and owned by Willowherb Publishing Ltd. or its contributors. ​Unauthorized use and/or duplication of this content by whatever means, is strictly prohibited. ©2018 Willowherb Publishing Ltd.